The HEC Montréal community is paying tribute to Pierre Harvey (HEC 1948), a veteran educator and committed researcher, Professor Emeritus and Director of the School from 1982 to 1986, who passed away on March 14, 2016. Pierre Harvey, a native of Chicoutimi, devoted close to half a century of his life to HEC Montréal. By turns a student, Professor, Director of the Institute of Applied Economics and then Director of the entire institution, he left a profound mark on the School. He directed L’Actualité économique and the Centre de recherche en histoire économique du Canada français, in addition to acting as an economic advisor to numerous organizations and commissions. He was made an officer of the Ordre national du Québec in 1997. Professor Harvey oversaw many initiatives while serving as HEC Montréal Director, including the addition of graduate programs in specific fields, a number of new research centres, the School’s very first fundraising campaign, in conjunction with the HEC Montréal 75th anniversary celebrations, and various international management forums. He was also responsible for the complete revision of the School’s charter, the version still in effect today. 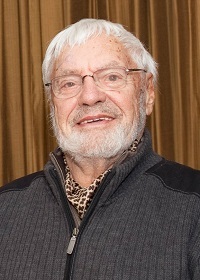 He was an astute observer of Quebec society and late in his career wrote a number of important publications on the history of both the School and the accounting profession in Quebec.